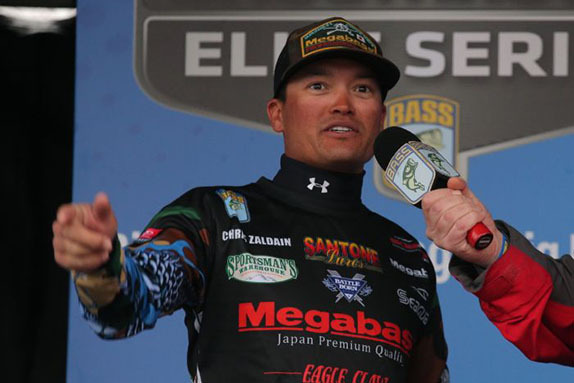 Tidal-water ace Chris Zaldain seems confident that he can post his second straight top-10 finish at Winyah Bay. Only five bags that were short of a limit were weighed in on the two full-field days at last week's Lake Hartwell Bassmaster Elite Series. That number will be considerably higher this week at Winyah Bay. The second of back-to-back events in South Carolina is on a fishery that's wildly expansive, but not extremely fertile from a bass perspective. On the circuit's previous visit in 2016, five of the final top 12 failed to catch a limit on all four days. Not only is there a great deal of water for competitors to consider (the bay is fed by five rivers), the tidal influence is also immense. Timing will be critical, as the water depth at any particular place in the system will vary by as much as two feet over the course of a day. As was the case at Hartwell, a high percentage of the bass are either actively engaged in the spawn or on the verge of performing the annual reproduction ritual. Sight-fishing will be part of some anglers' game plans, but the tide alone will keep that tactic from being as predominant as it was last week. 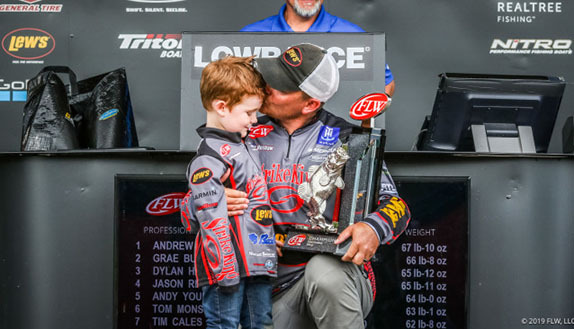 It'll be a new venue for most of the field, as a major chunk of the anglers who competed at Winyah in '16 are now fishing the MLF Bass Pro Tour. Keith Combs (6th in the previous event), Chris Zaldain (10th) and Mark Menendez (12th) are among the returnees. Before getting into more about the bite, here are some specifics about the fishery itself. > Water visibility/color: Some rivers are stained, others are naturally tannic. > Primary patterns: Topwater (frogs, prop baits), Senkos, spinnerbaits, flipping/pitching, square-bills, swimjigs, bladed jigs. > Biggest factors: Finding enough fish for 4 days. > Biggest decision: Whether to sacrifice gobs of fishing time by running a long way or putting your head down and grinding right away. > Wildcard: Big bites � they�re few and far between. One category of the local economy that should make a killing this week is marina operators. A tremendous amount of fuel will be consumed as at least half the field is expected to make the long run along the Intracoastal Waterway to the Cooper River. The Cooper is home to fish of a larger average size than the other rivers can boast. It's where Britt Myers fished when he won the Elite event three years ago, although some high finishers stayed much closer to the launch. "The Cooper is probably where it's going to be won," said John Proctor, a resident of Conway, S.C. who won the 2015 B.A.S.S. Nation Southern Divisional on the Pee Dee River in 2015 en route to qualifying for the following year's Classic. "We live in the other region and we're kind of pulling for our fish to win, but I don't think it sets up as well this time." Depending on how far up the Cooper an angler ventures, the one-way trip can take anywhere from about 95 minutes to two hours. If the wind kicks up in the afternoon, the return journey could be considerably slower, which could make getting back to the launch in Georgetown, S.C. on time a risky proposition. 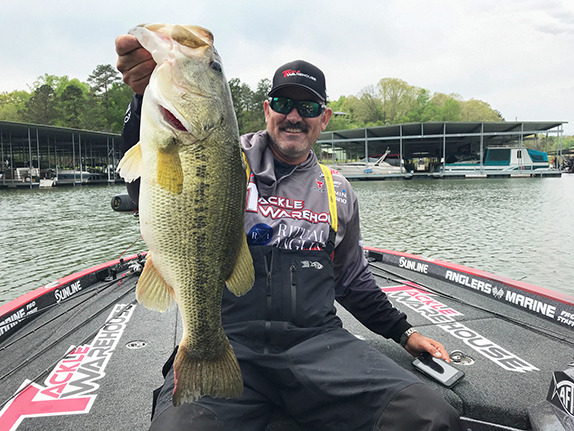 Kelly Jordon logged a 3rd-place finish in '16 on the Santee River, but Proctor doesn't expect the Santee to be a big player this time because of water that's already high and still on the rise. The level is normally between 6 and 8 feet, but it was at 9 feet on Wednesday and set to hit 12 by Saturday. If the derby is won anywhere other than the Cooper, Proctor thinks it might be the Pee Dee River. Keith Combs had a 6th-place showing there three years ago. "If you take a field of 75 guys and 45 to 50 go to the Cooper, I don't see how it isn't won there. A lot of those guys will bust, but somebody will make it work. There are big ones there. "The risk/reward of going there is probably just about the right balance." "I practiced on the Cooper the first day and it just seemed like everything I found was real obvious and there were a lot of boats around, so I wrote that off. I came over and practiced closer to the ramp and got a fair number of bites, but I just don't know about the quality. I shook off a couple of nice ones, but a lot of them felt small. "I really don't think it'll be that crowded if a lot of people run to the Cooper. If 30 or 40 guys can spread out on three other rivers, it should be okay. "I think if I can end up somewhere in the 12-pound range, that'll be really respectable." "This place is almost identical to the California Delta, where I grew up fishing, and whenever you're on a tidal fishery, the tide makes the world go 'round. Whatever the longest, hottest endurance-type NASCAR race is, this is that type of tournament. I've got every nut, bolt and screw tightened down on my Skeeter and I'm ready to rock. "I've spent most of practice focusing on the tidal windows that we're going to have during the tournament. I got off the water early on the second day and I took (Wednesday) off � that's the first time I've taken a practice day off in my eight-year career. I saw what I needed to see and I feel good about it. "I've made that run (to the Cooper) five times now and unlike some of the newcomers, I know what to expect. I have a good grasp on what the fish are doing and I just need to make sure I get there and back." "I wouldn't say my practice was terrible, but it wasn't great by any means. I've had a few bites, but I haven't set the hook on much. I think whether you're making the long run or staying kind of close, it's going to be kind of crowded. It'll be a challenge. "I spent Monday in the Cooper and never really got on much and it isn't really my style of fishing. It'll probably be won there because the quality lives there. There's some quality closer too, but those fish are a little more numerous over there." "I had one decent day of practice, but overall it wasn't that good. I fished the Santee on Monday, but it's supposed to be four feet higher and I've never caught fish in a place where the water's come up four feet that quick. "I just didn't get a lot going anywhere else, and I tried. I've got a little confidence in one thing, but there's a lot of unknowns, for sure." With the above in mind and more, here are a few anglers BassFan believes stand a chance to fare well in this event. > Chris Zaldain � He's a tidal-water ace and is very excited about what he discovered in practice. 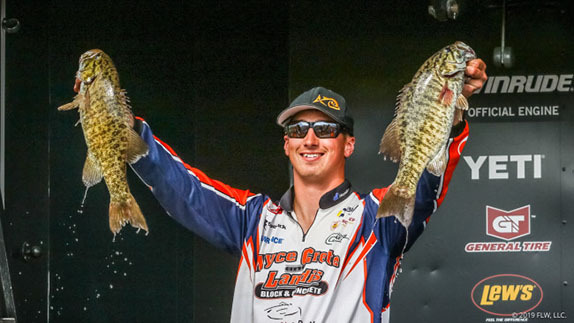 The runner-up at Lake Lanier could be headed for his second single-digit finish of the season. > Patrick Walters � He won a college event on this system and seems to have a good understanding about the whole thing works. He comes in at No. 3 on the AOY list and could top the standings by the time he leaves. > Keith Combs � He was 3rd at Lanier, but his other two finishes have been lackluster. He's not usually at his best in lower-weight events, but is strong during this stage of the spawn. > Mark Menendez � He's finished among the top 6 in two of three events thus far and should be buoyed by his good showing on his last visit to Winyah Bay. Anglers will launch at 7 a.m. ET each day from Carroll Ashmore Campbell Marine Complex. Weigh-ins will get under way at 3:20 p.m. at the same location.